About to Drop Before I Crop! I have too many photos, too many options and not enough brain cells. Here I sit in Nancy's killer scrapbook room with more choices than I can handle. Thank goodness she gives me her consultant discount. Now I just need to make a decision. Where should I start? What kind of book should I use? Believe it or not, I used to be a Sr. Consultant with Creative Memories? Rhonda Anderson would be so NOT proud of me. I have let my photos accumulate in digital world and now I need to get them preserved before I forget where we were, who we are and how blessed we've been. If you are a non-scrapbooker, I bet you're about to leave my blog just about now, but hang on maybe you can help me. Look at all these photos (little stacks with 4-5 photos in each pile). These are from our surprise ski trip to Vail and I want to tell the story of how no one but God got us there. Why am I doing this? I could be watching football with my husband. Aren't photo boxes and computer hard drives sufficient? Well, I used to think so. 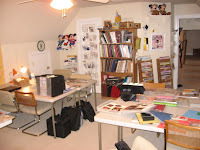 I have been operating in that reality for a few years since retiring as a scrapbook consultant. Our photos tell so much of God's story. And in telling His-story I am inspired to live it. My photos remind me of the legacy of faith and family traditions I want to leave for my children and grandchildren . So, here's my dilemma. CM has this new kind of scrapbook called a Picfolio where you can slide the photos into sleeves already on the pages. You don't need adhesives, page protectors and you don't need to be (or get to be) very creative because there isn't as much room on the pages. But being creative was one thing I used to enjoy. Then I say to myself, "I don't really have time to be all creative like I used to be. Maybe this is a good option for those who have a gazillion photos to preserve before the memory of them fades and all hopes of journaling about them is lost. Maybe creativity was for another era in my life and now it's time to click into historian survival mode. What is my self saying back to me? "Ask your blogger friends." Tell me, what would you do? 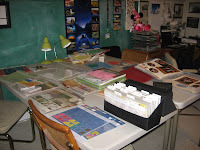 Have you ever used a picfolio, or are you a traditional scrapbooker? The kind that loves decorative papers, tape runners, stickers, punches and the satisfaction you get when a page is done and you slide on a page protector that has not one fingerprint smudge on it. Or, are you like me (until recently), resigned to thinking that it's too much so why even try? Maybe you need a Picfolio, too. Well, before we both give up here's another verse I read about the One who gives us memories to keep! JJ's parents left early Thursday morning. The boys were so sad, all three of them!! They had such a fun time playing and visiting with Grandma and Grandpa Swope. We played checkers, went shopping, ate out, made science inventions, watched a movie and were just together. It was great! 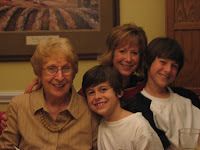 I'll share favorite Christmas memories and photos in my next post. JJ went back to work. 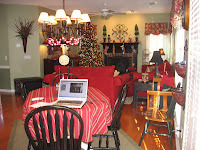 I worked from home all day on P31 website finalizations and radio planning. We're launching our new website January 1st so we have lots of final run-throughs and page reviews to do before then. 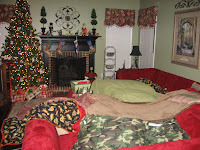 While I worked at the kitchen table, the boys played with their Christmas toys and hung out with neighborhood friends. 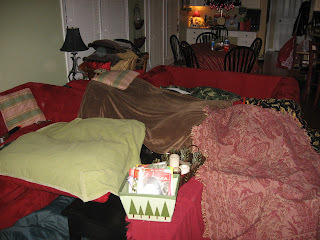 Then they spent the night at my mom's house so JJ and I could go on a date. We went to Panera Bread for dinner and ate in our car so we could make it to a movie on time. How romantic, huh? But the movie we saw, "P.S. I love you" made up for eating in the car! I needed that movie. I think we needed that movie. Our marriage had been in a tough, dry and "feeling distant" phase for the past few weeks. We'd gotten in an argument in CO that was hard to bounce back from. Then came preparations for Christmas and catching up on life, laundry, emails and work after much travel in November. JJ got sick the weekend before and throughout Christmas so that was hard, and not great for intimacy if you know what I mean. We needed something that would help us get back to a place where we "felt" the love! This movie was a jolt into reality. It painted a beautiful picture of what love looks like or can look like, even after it's lost. If you see this movie, bring tissues. I cried a lot but it was oh so good. It left wanting to love my husband better! It reminded me that each day is a gift and that tomorrow is no guarantee. We both left committed to laugh more, argue less and love each other like it might be our last day together. It was great for our marriage...but warning for your hubby, it is a chick flick. I went into the P31 office Friday morning to catch up on emails and respond to some speaking requests. Then our small office staff of nine women headed to Chick-fil-A for a staff-lunch hosted by Mrs. CFA (Lysa TerKeurst). She and her husband Art, who owns a CFA, treated us to nuggets, waffle fries, salads, sanwiches and lots of sauce! We ordered whatever we wanted and then just talked and visited. Then we went to the movies to see "The Great Debaters." It was such a treat just to have fun with women who work so hard together and a great way to celebrate the end of an amazing year in ministry! After the movie, Lysa, Leann, Holly (Lysa's asst) and I went to Border's Bookstore to get some Starbucks coffee and hunker down for our She Speaks Conference planning session. You should've seen us all with our laptops and lattes. We got so much accomplished and are so excited to soon launch our She Speaks registration!!! It's the best event we do all year and we are so excited about the plans God's giving us for 2008! Keep an eye on my blog and I'll let you know when registration begins. Today we're getting ready for a trip to to see JJ's brother and his wife/kids who live about three hours from us. Our boys love playing with their cousins Sara and Alex. JJ and his brother are really close and do fun stuff with the kids while also watching lots of football and shooting some pool in the basement. 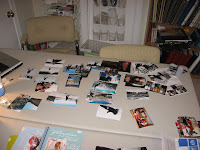 I get to go on a scrapbooking binge with my sister-in-love who is a Creative Memories consultant. She has the cropping-room-to die-for. We watch old movies and preserve family memories. I havent' scrapbooked all year so I hope to get lots of pages done. I just also have to make sure to spend time with the kids so I can make some memories, too. Once I get started I don't want to stop croppin' - I am sure someone knows what I mean! Pray the photos are processed and ready to pick up on our way out of town. Life is full, but life is good! We all slept in really late this morning. JJ has a cold so I found him in Joshua's bed when I woke up at 9am. He slept in there so I could get a full night's rest since he was up sneezing and coughing. Aww, so sweet! Please pray for him to feel better today. Joshua and Andrew slept downstairs in tents. 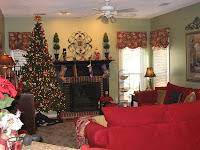 Our living room went from holidazed to holicrazed! But instead of hurrying to clean up the nomad mess, I decided we'd keep the tents out a little longer as a reminder of the chaos in Bethlehem when Mary and Joseph were looking for a place to rest their heads and deliver their baby - our Savior. I bet people were sleeping everywhere. Surely some were in tents! What is it about blankets, pillows and boys? Put 'em together and you get a tent within minutes. I love to build tents, too. You should've seen me last night trying to help them expand their tent concoction to include extended bedrooms with improved roofing. Today we're staying in our jammies as long as we can. It's 12:00pm and no one has combed their hair. We're eating muffins, sipping coffee and I'm trying to decided where to buy the spiral ham we're having for Christmas dinner. I wanted to get a Honey Baked but they are so expensive. Can you believe I don't have my ham yet? Actually, I just called my favorite grocery store and they still have plenty of spiral cut hams in smoked, hickory smoked, honey glazed or brown sugared. Wow, what a selection of flavors! I decided if I couldn't find one we'd just have a roast or something. I've always wondered who decided turkey or ham was most fitting for the holidays? I've heard some families have italian or mexican buffets just to kick it up a little. We are having a ham, mashed potatoes, sweet potato casserole, sweet peas, brocolli, biscuits, cranberry relish, fruit salad, strawberry pretzel salad, pumpkin pie and apple pie. Yummy! So, what are you having for Christmas dinner? My kids are so excited we only have three days until Christmas, especially Andrew. Last night he asked me to snuggle with him in his bed because he needed to talk to me about something. It was really late (past midnight because we had friends over for dinner and games) but I couldn't resist. What 10-year-old boy wants to talk to his mother about something? I climbed up the ladder to his bunk bed, sunk into his pillow and waited while he brushed his teeth. Soon after, he crawled in beside me and I gently scratched his back. Normally he doesn't want to talk but simply wants me to lull him to sleep. However, last night he jumped right into our very important discussion about something. "Mom, what all are we doing to do Christmas morning before we open our gifts?" 2. Gather in the dining room for Christmas Breakfast with Jesus as our guest (We set a place for Him at the head of our table with a "You Are Special" plate. He liked the plan and within minutes he fell asleep. Today, my mom came by for lunch. While were were eating, Andrew announced that we have 6 things we're going to do before opening gifts Christmas morning. I smiled and listened as he continued, "And it's going to be a great day because everyone is going to be here - even Jesus!" Now that's Christmas: counting down the days, anticipating each event, and checking off the special Guests on our list. I think I'll take Andrew's approach and make a list for today so I can anticipate tonight's grand finale - making slice & bake Christmas cookies and watching the Nativity with my guys! To join in the fun, click on the word "comments" and leave a little note. Be sure to include your name and email so I can contact you if you win. Merry Christmas! Why can’t I be like Jesus? He knew His time on earth was limited and tasks weren’t that important. My time with my kids at home and this season of life with my husband is passing. But unlike Jesus, I am a type A, get-it-done kind of girl. Just being isn't natural for me. My only hope is to take my desire and struggles to Jesus daily and ask for His help. He wired me this way, so He’s the only One who can make me more like Him. I love knowing that God understands how easily I get tangled up in my to-do list and through sweet reminders like my son’s silhouette, He helps me see my family as my greatest treasure. He reminds me that my time with them is my most important investment. But sometimes my high-octane-brain still gets distracted so there are a few things I do to help me stay focused on them when I'm with them: I look into their faces and remember what they used to look like, This helps me grasp how quickly time flies. I think back to what life was like without them. This makes me thankful God gave them to me. I imagine the day they won’t be with me, the day they live in another place with their own family. This makes me want to cry! But then I freeze-frame that moment so it lasts longer!!! Okay friend, let’s make a pact today to slow down and really be with the ones we love - and love the ones we’re with - while they’re still with us. And, if you're visiting from the P31 devotion, welcome to my blog!! I am so glad you stopped by. Click here to read today's post. Welcome to my home for the holidays! I love having friends over and I love visiting friends' homes. It just makes me feel closer to them. BooMama hosted a "Christmas Home" blog tour this week. I thought it would be fun to participate since so many of my friends live out of town. But, I was not ready, so I'm hosting mine today. Not ready seems to be a theme for me this year. But I am getting close to ready...most of my Christmas shopping is done, my Christmas photos are printed and surely I will get my letter/cards out before New Year's. And now I'm ready to share my home and a few of my favorite things with you. I am so glad you stopped by for a visit! Come on in. 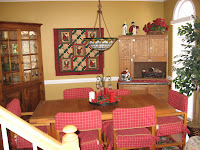 As you look up, you'll see a Christmas quilt hanging over the banister above the foyer. My mom made it, and loaned it to me to display. Let's go back to the left through our foyer. Here's our study. We hardly use this room but Chelsea (our precious pooch) sleeps here in the corner of the couch. Usually there's another absolutely gorgeous Christmas quilt my mom made for me, but this year she confiscated it to hang it in her living room. 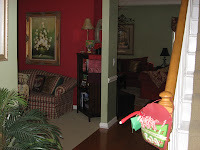 It looks so beautiful on my red walls but I am happy to share with the one who shares so generously with me! Here is JJ's grandfather's roll top desk. This is where we put our nativity. If you look closely, you'll see that Jesus isn't there yet. We place Him in the manger Christmas morning. Let's go in the family room and sit down for a few minutes. I'll light a fire and tell you about some of special things in this room. 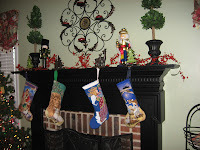 The stockings hanging on the mantle were made by, guess who? Yes, mom. She started making them when the boys were babies. She also works full-time and loves to quilt, crochet, and be a good grandma so it took a few years. She gave them to us last Christmas. I love them! is JJ's, Angel is mine (ha ha! 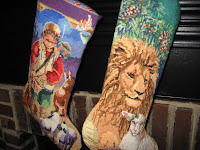 ), and the Nativity is Joshua's. Every single dot of color you see is needle point. Aren't they beautiful? Now let me show you something I made. Not as impressive as mom's artwork, but it was easy to make and it made me feel so "home-maker-ish! 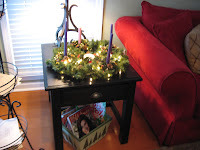 It's my Advent wreath. I bought a plain garland wreath, added a few candle holders, candle holder wreaths from Garden Ridge and some candles from the dollar store. I also wrapped a strand of white lights around it to make it sparkle even when the candles aren't burning. We haven't started Advent... not ready until now. Guess we'll do the four days before Christmas instead of four weeks. If we don't start tomorrow, we'll do the f our hours before Christmas if we have to. Our living room leads into our breakfast area, where we actually eat breakfast, lunch, snacks and dinner. 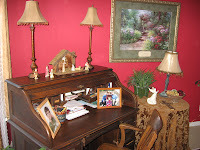 This is where you'll find me most of my days feeding children, helping with homework, writing radio shows, devotions, emailing, blogging, preparing retreat messages, drinking my coffee and meeting with my Jesus. I holidazed it up a little with a tablecloth from HomeGoods, some whimsical candlesticks a friend gave me from her leftover Christmas goodies, garland on the chandelier (that used to be brass but I painted it black, can you tell I like to do that?) and a mistletoe ball from Target. 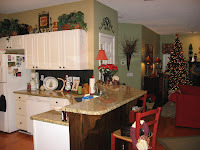 Now we're in my kitchen and if we keep walking we'll circle back around to the dining room and foyer. But let's stay here, pour a cup of cinnamon vanilla coffee and sit at my kitchen bar. I'd love to hear about your favorite Christmas decorations and traditions. And if you you leave a comment (please include your email address and a link to your blog), you'll be part of a Christmas give-away I am doing tomorrow. Click here to read more about it. Remember, we'd love to hear about your favorite Christmas decorations and traditions. I was reading a book in bed the other night when I heard JJ calling our dog to come get her treat. He was actually luring Chelsea to her doggie bed. Daisy, our beagle, was already outside doing her business, anticipating the reward of a doggy biscuit if she obediently came back inside and went straight to her bed. However, Chelsea, our thirteen-year-old daschund, was in la-la land. Sound asleep in her chair, nothing was going to get her to budge. Not even the promise of a treat. I wondered if Chelsea had perfected her “selective hearing” skills (knowing it was bedtime) or if she's going deaf. I had a feeling it was the latter. Once the dogs were tucked in bed, we laughed about how Chelsea used to hear every little thing. If the wind blew a leaf outside our front door she barked. I laughingly told him that when I’m as old as Chelsea, it might be good if I can’t hear everything. She gets a lot more sleep than she used to, and I love to sleep! She also doesn’t hear when we laugh at her, and it might be good if I don’t hear their jokes about me either. My light response didn’t wipe the concern off his brow, so I asked why he was afraid I won’t be able to hear him. "Well, sometimes you don’t hear me now. Like when you're on the computer and I ask you a question, sometimes you don’t hear me.” He answered without hesitation. (Ouch!) I was not expecting that answer. I almost plunged into a "bad mommy" moment. My child thinks I can't hear him. I felt bad because in my heart, although I may be deeply distracted, I know that I hear him but I don’t always listen. Instead of going on a guilt-trip, I pulled Andrew close to me and told him I was sorry for not listening sometimes. I didn’t want him to fear that old age might make it worse. So, I explained how me being on the computer is similar to when he’s watching a good movie or playing video games. He gets all involved, almost like he’s in another world, and sometimes he doesn't hear other noises, like me calling him for dinner. He nodded with understanding. That night God showed me another gift I can give to my kids and my husband this Christmas. It doesn't cost money. It doesn't have to be a huge chunk of time. I give the gift each time I stop what I am doing, look up when I hear their voices, turn my attention toward them, and simply listen. The gift of listening... it's another way I can give more of me this Christmas. Jesus Calling: Enjoying Peace in His Presence by Sarah Young. This is my favorite mini-devotional book. It's is the sweetest appetizer to my time in the Word. It draws me close to Jesus' heart and helps me listen for HIS voice each day. Click on the word "comments" to share a story (or just your name and email) to enter. I'll do the drawing Wednesday night (now Thursday... I didn't think I'd get to do the holiday home tour this week but I DID!! I am extending the drawing to Thursday so there are more potential winners). Also, I have another give-away this weekend! Fun, fun, fun! Don't you just love candy canes? They're my favorite Christmas treat. I have a basket of them hanging on the banister near our front door. I noticed this morning that lots of elves ate some this weekend so I need to refill my supply. These sweet holiday treats have become a tradition in our family to remind us of the real meaning of Christmas - Jesus! 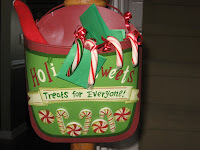 Each year we talk about how the candy cane can help us focus on Christ at Christmas. It’s shaped like a shepherd’s staff to remind us that the Lord is our Shepherd. Upside down, it’s the letter J for Jesus. The red stripes can remind us that Jesus shed his blood for us on the cross and the white symbolizes his holiness. The scent of the candy is like hyssop, an herb used in Biblical times for healing to remind us that Jesus is our healer. The candy cane is sweet and meant to be broken and shared, just like Christ’s body was broken for us. We put this description on small pieces of green paper and tie them to several dozen candy canes to give to the postman, bus drivers, neighbors, family and friends. It's a great way to share the sweet Truth of Christmas wrapped in a candy cane. Today's Give-Away Winner for my "Unwrapping His Christmas Presence" cd is Pattie vz. Pattie, please email me your address so we can send your gift. And if you'd like to be part of this weeks drawing, read last night's post below, "The Gift of Listening" to find out more. Merry Christmas! I’m still trying to find that perfect gift for those I love - the one I said I wanted to give, the one I know they want more than anything – more of me!! Where can I find more of “me” to give – especially during this busy time of the year? Yet, it’s been the most peaceful pre-Christmas I’ve had in years! How have I survived this act of surrender? It hasn't been that easy but I’ve decided (moment by moment) to not let myself get swept up into the current of having to get it all done! I’m just doing what I can when I can. I am also praying my Christmas prayer to help me keep focused on Jesus - how He lived and how He loved! Then I am accepting the assignments God's gives me and completing them one at a time. It started in November. My ministry/speaking/work meant more travel than usual last month, so there was no decorating the week after Thanksgiving. It continued this weekend. My 13-year-old had a huge project due this week and needed my encouragement and attention all-day Saturday and for a few hours Sunday. My husband needed help in the yard. My 10 year old wanted to bake cookies. I’ve also tried to make those little choices I promised myself and God that I’d make. Tuesday and Wednesday I took a break from working and emails to go walking with two of my best friends. Last night, instead of completing what I so want to do -get that tree decorated – I snuggled up next to my kids and husband and watched “Elf.” The night before we watched “The Star of Christmas.” It isn't on their Christmas list, but it was the gift they wanted that day. I'm also asking myself: What is first priority? What matters most to the kids and JJ? The answer helped determine my plan when I pulled out the decorations Sunday night. 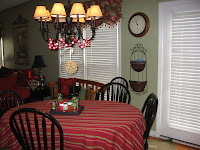 I started with the most important room of all – our bonus room, where my kids hang out most. I strung colored lights across the windows and along the ceiling line, put up their smaller tree, added a few snowmenm the nativity and garland on the shelves. By Monday night the interior and exterior of our house was “aglow”. However, the tree is still standing “naked” in the corner of my living room. So far I've gotten it right, just a little. But there are plenty of times I don’t get it right. I bury myself in tasks and my need to “get it all done all at the same time,” and my family doesn’t get as much of “me.” That's the reason I want to slow down this Christmas – the hardest time of all to do so – and ask God to give me more of HIM so I can give more of “me”. More than ever, I am realizing that when I look back it won't what I did, but how I lived!!!! Your gift to me this Christmas has been your comments. You have inspired me this week to give up myself so I can give of myself! I had no idea how much God would encourage my heart through your reflections, stories, honest struggles, and sweet words of blessings!! I wish I could give every one of you a copy of Point of Grace’s CD “How You Live.” It has so many powerful songs (some more of my favorites are Heal the Wound, Fearless Heart, He Believes in You, All the World) on it! So if you are not the winner, I hope you’ll get a copy. You can find it at your local Christian Bookstore or online at Christianbook.com Click Here to link to the ordering page. It’s on sale! Pam and Squirrelly Mom, please post your emails in the “comments” below so we can get in touch. If you didn't win this time, there are still more gifts!! I'll be giving away a copy of my "Unwrapping His Christmas Presence" CD this weekend, another copy of my Leaving a Legacy DVD, and more cool stuff next week! To enter the drawings, post your comments and thoughts about the little ways you’re giving (or want to give) more of your “me” to those you love! Give yourself grace and know that it doesn’t have to be big – the little things mean a lot! I'll do a drawing from the comments today through Sunday, and announce the next winner Monday. Please to include your email with your comment so I can get in touch with you if you win. It's not what we give, but how we live! As I think about the perfect gifts to give my kids, my husband and my mom this Christmas, I've decided that more than anything, what they want is more of "me." More of my time, my attention to really listen and be together for no purpose but just that! Cool Christmas Give Aways - TWO DRAWINGS!!! It's time for my Cool Christmas Give-Away and we extended it since the response has been so amazing!! I just couldn't only choose one. I have loved reading everyone's comments and stories, and hope you'll leave one, too! About my gift: Have you heard Point of Grace's newest song, "How You Live"? It's my favorite!! When it comes on, I turn up the music and sing with all of my heart. It embarrases my kids but, oh well. Last month I had the incredible blessing of getting to know three of the members of Point of Grace on the Girl's Get-Away Cruise. I told them about how we do give-aways on our blogs, so they gave me a signed copy of their photo and their newest CD - "How You Live" to give away!!! Here's the music video they did with their kids. (click on the arrow to watch) You might want to get some tissue or get ready to sing - either way, turn up the music and listen closely - it just might change how you live!! My Cool Christmas Give-Away includes the Point of Grace CD, an autographed photo, a 2 session DVD from my "Living and Leaving a Legacy" women's conference and a copy of God's Purpose for Every Woman with devotions for everyday to help you really live! And I am giving away Two Gift Paks now!! To enter the drawings, click on the word "comments" below and tell me how this song touches your heart and why'd you'd like to win. You can also post on Lysa TerKeurst's blog (for double entries). We're now doing the drawing Thursday morning, and we'll both announce the winner on our blogs. Remember this Christmas and all throughout next year, it's not what you give...it's how you live!!! At this time of year, isn't it's easy to get all "gived" out? I have found it's important to get a little each day so I don't get depleted! The first place to "get" is from the well of God's heart. It's is there that I find His perspective and He redefines mine. From the living water of His Word I am filled with promises of love, grace, peace and hope. Sometimes God comes along and through a friend or someone I love He whispers: All that you are and all that you give makes a difference! I know how much you do each day! So, I wanted to let you know about something special the Proverbs 31 devotion writers and a few of our author friends are doing - we want to give Christmas gifts to you this year! We've come up with a great way to do it through our "Cool Christmas Give Away!" You'll have the chance to win all kinds of great things that will refresh and refuel you! From books signed by the authors--- to Gift Cards from your favorite stores--- to Pampering products--- and much more! Ready to Win? 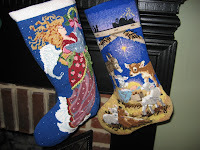 The "Cool Christmas Giveaway" is part of the P31 Holiday blog tour. To get started, visit Lysa TerKeurst's blog by clicking on the button above or by visiting www.LysaTerKeurst.com. Each day Lysa will feature another speaker/author's blog that you can link to. 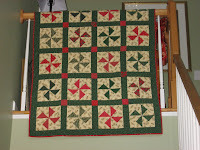 To enter the drawing simply post a comment on her blog. Each time you do, you'll be entered to win that day's give away. We hope you will enjoy this fun way to be encouraged and blessed this Christmas Season by taking the holiday blog tour and registering to win many times this Christmas season. Point of Grace's newest CD "How You Live" along with an autographed photo they gave me to give away! My 2-session conference DVD entitled, "Living and Leaving a Legacy." 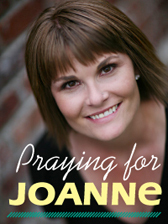 Today a devotion I wrote was featured on Crosswalk and the Proverbs 31 site. In it I described a time a few years ago when I found myself sitting in my bedroom closet Christmas afternoon feeling sad. Although I had what I wanted for Christmas - a house full of gifts, family and food - my heart felt empty. That day I read the story of Jesus' birth in a whole new light, and in the years that followed this prayer was birthed in my heart. Will you pray these words with me this month as we prepare a place for Him in the manger of our hearts and homes this Christmas? This Christmas, Lord, come to the manger of my heart. Fill me with your presence, from the very start. when you sent Your Son from Heaven. You came as a baby born in a manger. Waiting to be opened, to reveal Your love to me. Search me and know the most intimate parts. and wrapped Himself in rags of earth. Emmanuel, God with us, Your presence came that night. “Do not be afraid,” they said, to shepherds in the field. Speak to my heart today, Lord, and help me to yield. Make me like those shepherd boys, obedient to your call. to You I surrender them all. Clear my mind of concerns and all the holiday noise. Slow me down this Christmas, let me not be in a rush. I want to feel Your hush. This Christmas, Jesus, come to the manger of my heart. Invade my soul like Bethlehem, bringing peace to every part. as I unwrap Your presence each day. Keep me close to You, Jesus. It’s in your wonderful Name I pray. Feel free to share this prayer by copying and pasting it into another document. All I ask is that you please include the copyright and my website. Christmas brings out the gift-giver and gift-getter in all of us, doesn't it?! Just like my friend Janet who ended up with a bucket of Barbies, I have a few things that I want, I need, I just have to have. Sometimes it's clothes, other times it's books and I hate to confess but all too often, it's a Starbucks - although I have been limiting my supply lately. My biggest want these days is "white space." Sometimes it even feels like an addiction. I just have to get some white space! But, it's not white space in my schedule...it's white space on my computer screen. This addiction is more serious than it may seem. You see, I get a bit ansy when there is no white space, and I get downright anxious when emails start coming in faster than I can keep up with them. Make no mistake, that is almost daily! I really get in a twit when there is no promise on the horizon for time to clear out some space. Those little emails have voices and they squeal for my attention. They tell me that people will get frustrated and think not-so-nice things about me if I don't answer some time soon. And the voices tell me that if I don't manage my white space wisely I will lose all hope of ever having white space in my inbox again! So, in the midst of laundry and cleaning and homework and answering phone calls, I sit down to respond to a "few" emails. Two hours later the kids are "starving," the dog is howling at the neighbors cat from our backyard, JJ pulls into the driveway after work and I haven't even started dinner! Instead of greeting him at the door with a kiss, he comes in and sees the back of my laptop screen and me scrunched down behind it - trying to get me some white space! Can anyone relate? Do you love white space like I do? Tell me your secrets for managing this this little monster and I'll tell you mine :->. Kris Krow is the winner of my "authentic friends club" giveaway. Krism you will receive a Starbucks gift card and two copies of my "Unwrapping His Christmas Presence" cd - one to keep and one to give away. Please email me your address so I can mail them to you! Thank you so much to all of you for being my authentic friends - willing to share your hearts with me and each other this past week. I loved reading and knowing how much we are alike in the ways we look to things and people to fill the empty places in our hearts. Your authenticity encouraged my heart deeply and also made me ponder some thoughts I want to blog on in the coming weeks and get you to blog with me so be sure to come back soon. We just got back from Colorado tonight. I was speaking there Saturday and then we (JJ, Joshua, Andrew and I) went skiing Sunday and Monday. It was an amazing family time and an early Christmas gift we were not expecting this year. I"ll share photos and stories this week. God showed up for us in some very sweet and personal ways. Love when He does that!